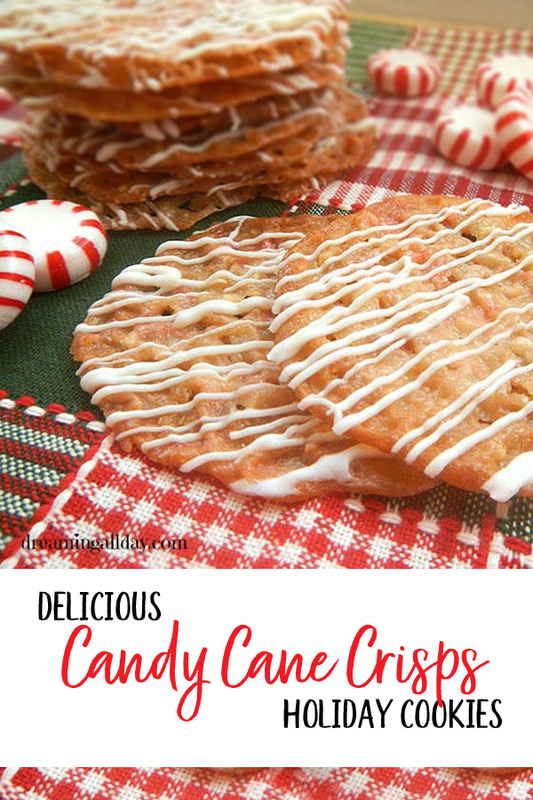 Aren’t you just drooling over these yummy candy cane crisps cookies? Today’s guest blogger is Jill from Dreaming All Day. I first met Jill at Online Blogcon, and I have fallen in love with her website. 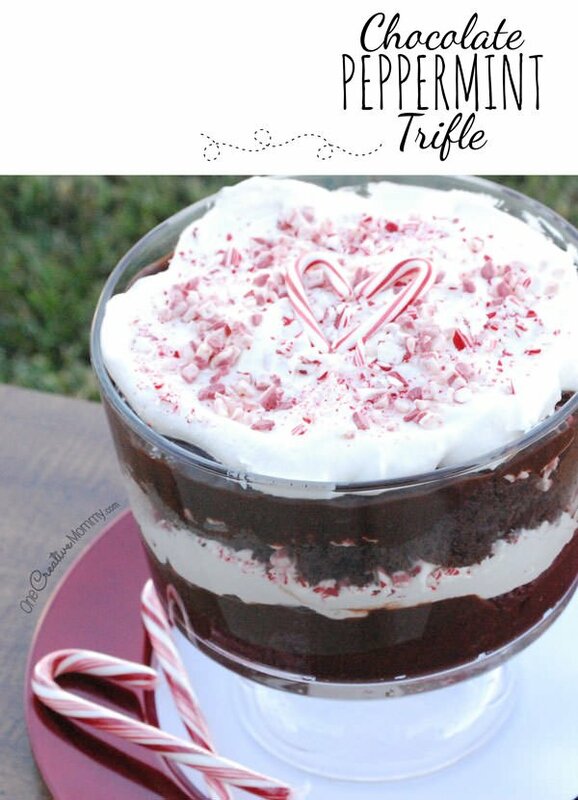 Be sure to check out all of her fantastic recipes, home decor, and crafts! Take it away, Jill! *Since writing this post, Jill has stopped blogging, and her website has been taken down. So that you don’t get sent to Never-Never-Land, I’ve unlinked the links to her website. I’m so excited to participate in the 12 Days of Christmas with One Creative Mommy & 12 other talented bloggers this year! What I love about Christmas time is spending time with family and friends. I love baking and decorating cookies, and I especially love developing new and interesting recipes to try. Sometimes these little experiments end up as nothing more than a funny kitchen disaster story, but for the most part, the results are delicious! I saw these cashew crisps in a magazine a couple months ago and wanted to try putting a little Christmas spin on them. The results were a crispy, candy-like cookie. They almost remind me of chips because they are so thin and crispy! I love chewy, gooey cookies as well, but these are definitely for the crispy cookie lovers out there! Yummy! 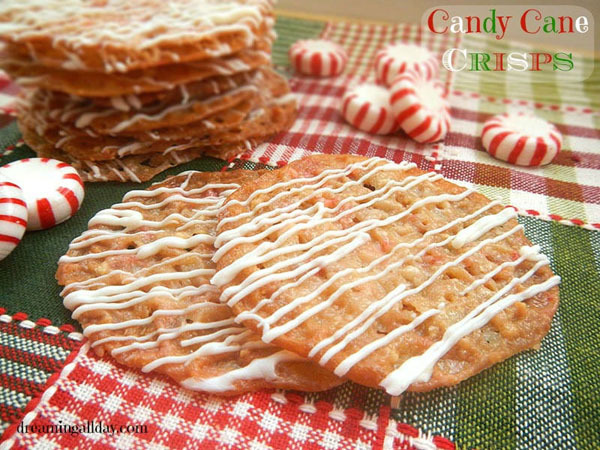 Thin candy cane wafers drizzled in white chocolate. 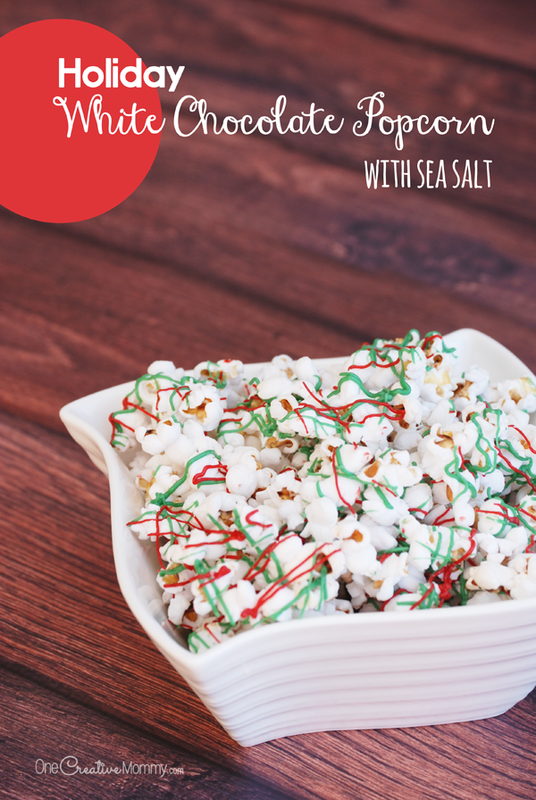 In a food processor, combine flour, cashews, and peppermint candy until mixture resembles fine crumbs; set aside. In a medium saucepan, combine butter, brown sugar, and corn syrup. Bring to boil over medium heat, stirring to dissolve sugar. Remove from heat. Stir in vanilla. Add flour mixture and combine. Transfer to a bowl and let cool for 10 minutes. Preheat oven to 350 F. Line cookie sheet with parchment paper. Drop 1 tsp rounds, 3 inches apart on lined cookie sheet. Bake 6-7 minutes or until edges of cookies are golden brown. While cookies are baking, melt white chocolate according to package directions. Let cookies rest on cookie sheet for 3 minutes, drizzle melted white chocolate over cookies, let rest another 2 minutes then transfer to a wire rack. Thanks for sharing this tasty creation, Jill. I’m excited to try and make it gluten free. 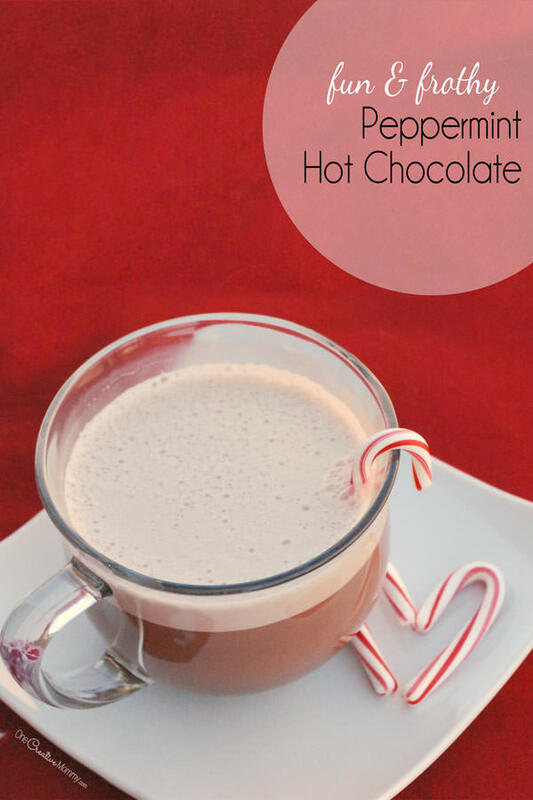 While you’re here, be sure to check out some other candy-cane flavored creations. The images below are linked, so click on them to visit the posts. So many yummy things here this week! That looks good!